Managers today have a daunting job. With their downsized staff, often depending on people over whom they have no authority, they are expected to produce better results than last year, all on a reduced budget. How do high-performance organizations achieve their extraordinary results? Of course, many elements come into play (from alignment and execution to innovation and business models), but a critical element is that such organizations function as dynamic teams, with many leaders operating as stewards throughout the organization (and loyal followers as well). The leadership in these organizations ebbs and flows within the hierarchy that exists, with the boss sometimes calling the shots, but more often letting others lead, even letting them make some mistakes, to unleash their leadership skills, and coaching them along the way. Wrong. Multiple leaders lead on different projects at different times. Such an arrangement only works well when leaders have collaboratively elicited shared values that bind and guide the organization. 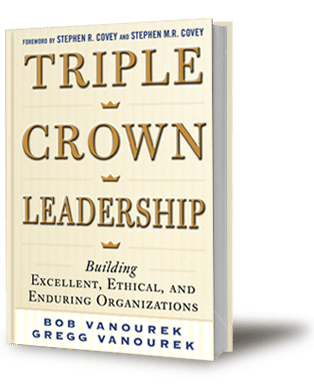 Values are the core beliefs that guide the desired behaviors of people in an organization or team, especially when the leader is not around. These behaviors set the culture that determines how people interact with each other and other stakeholders. Shared values empower employees better than bosses or policies. How can you elicit shared values? It starts with a meeting of leaders (or if the team is small, the whole team) to brainstorm a draft of shared values. In larger organizations, this draft is then taken out by a guiding coalition of volunteers to get input from all those who weren’t in the initial meeting. Drafts and redrafts of the values are developed over weeks or months. High-performance teams often start every meeting with a short recap of their values to keep them top of mind. They empower everyone associated with the team to act according to the values. People have an irrevocable license to lead by these values. Then if the team has a ball hog who doesn’t play well with others, other leaders invoke positive peer pressure to honor the values or depart. The same is true for the bad apples, bullies, naysayers, saboteurs, and the outright toxic. Before you brainstorm and synthesize a set of shared values with your team, we recommend define your personal values. (See our Personal Values Exercise.) If your personal values are not in sync with those of your organization, something needs to change. Core Concept: Shared values are powerful behavior guides that pave the way for extraordinary results. Have you written down your personal values? Have you collaboratively elicited shared values for your team? Do members of your team hold each other accountable for values-based behavior?